Brewers Opening Day-April 6th, 2012. Be there or be square. 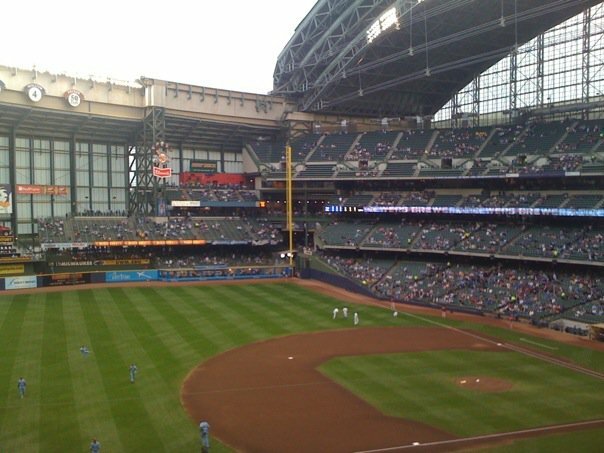 The Brewers will open their 2012 series against the World Series winners, the St. Louis Cardinals. Remember the excitement of the NLCS? I'm sure we'll see that kind of excitement again. Cubs series at Miller Park-May 11th-May 13th. 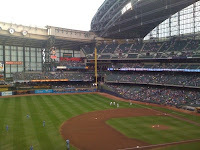 I love the rivalry (as long as it doesn't get out of hand) and so I never miss the Brewers/Cubs games at Miller Park. Twins series at Miller Park-May 15th-May 20th. Another great rivalry series. Phillies series at Miller Park--August 16th-20th. It's nice to see the Brewers play another strong team from the National League at Miller Park. The Phillies have traditionally done very well in the playoffs, so it will be fun to see the Brewers go head-to-head with such a team. Brewers on the road: The Brewers will travel to both the US Cellular Field and Wrigley Field in Chicago to take on the White Sox and Cubs respectively. I like traveling to see the Brewers, especially in neighboring cities. The Brewers will also play at Target Field this summer to take on the Minnesota Twins. Here's to a great Milwaukee Brewers 2012 season!